It's really not PNY's fault, but unfortunately it has the dubious honour of being an un-boosted 8600GTS. 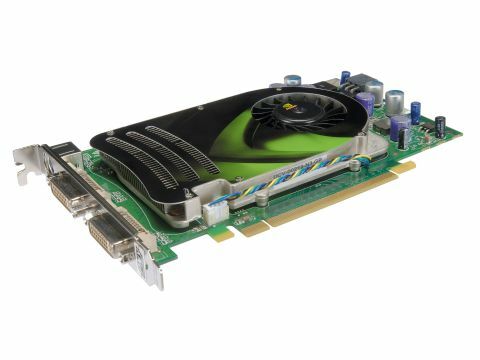 Against other cards of a similar ilk it is eminently comparable: in other words, it's not pricey for a GeForce 8600GTS, nor will the inclusion of Splinter Cell: Double Agent lose it any points. The trouble is, we can't help but conclude that if you're going to buy a stock speed 8600GTS right now... you've probably been lobotomised. On the plus side, strong Oblivion performance over any DX9 cards is promising for future shader-heavy titles.